Ghost Rider: Spirit of Vengeance is a 3D superhero film based on the Marvel Comics anti-hero Ghost Rider, being released February 17th 2012. The film is a loose sequel to the 2007 film Ghost Rider. It is directed by Mark Neveldine and Brian Taylor. 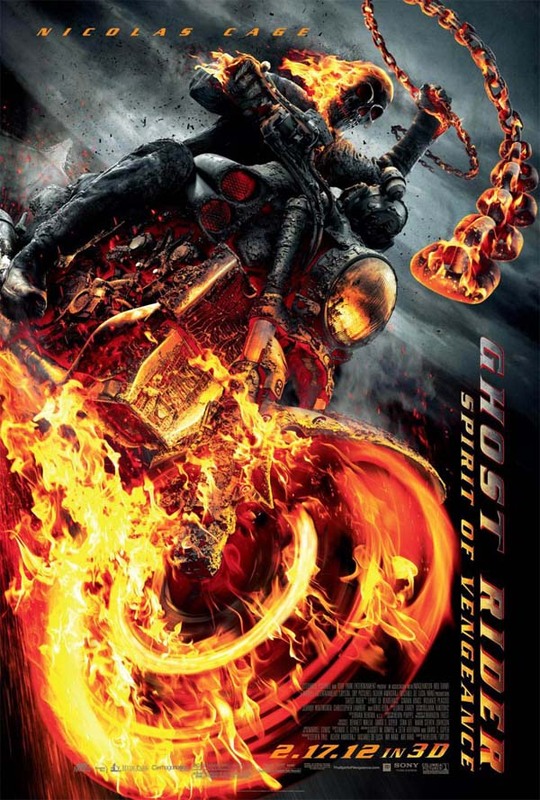 Nicolas Cage reprises his role as Johnny Blaze/Ghost Rider.